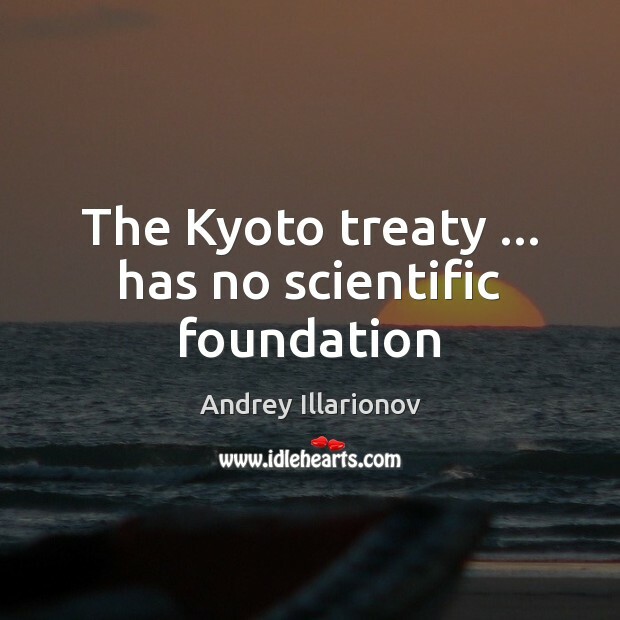 Enjoy the best inspirational, motivational, positive, funny and famous quotes by Andrey Illarionov. Use words and picture quotations to push forward and inspire you keep going in life! 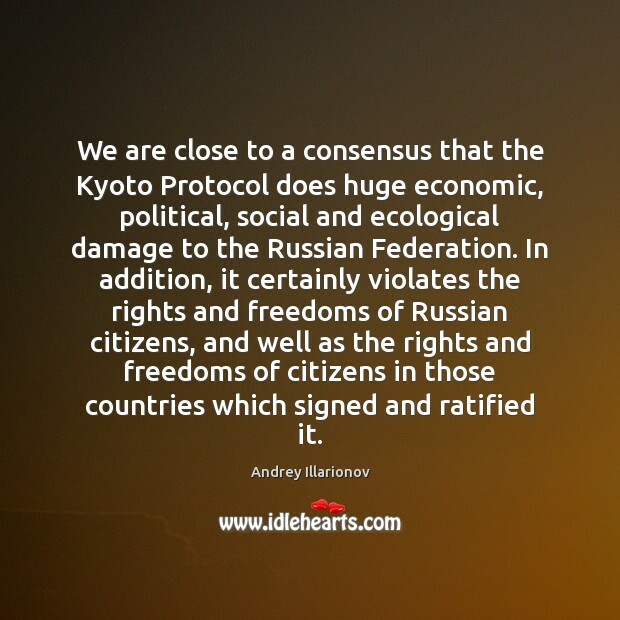 We are close to a consensus that the Kyoto Protocol does huge economic, political, social and ecological damage to the Russian Federation. In addition, it certainly violates the rights and freedoms of Russian citizens, and well as the rights and freedoms of citizens in those countries which signed and ratified it. 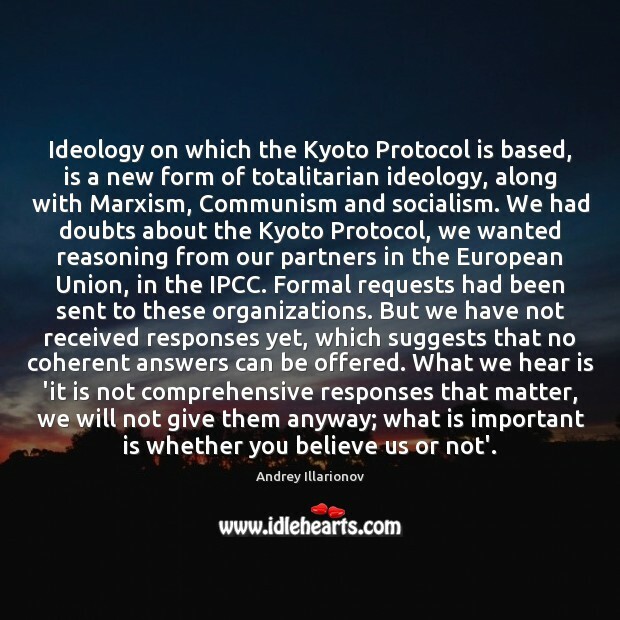 Ideology on which the Kyoto Protocol is based, is a new form of totalitarian ideology, along with Marxism, Communism and socialism. 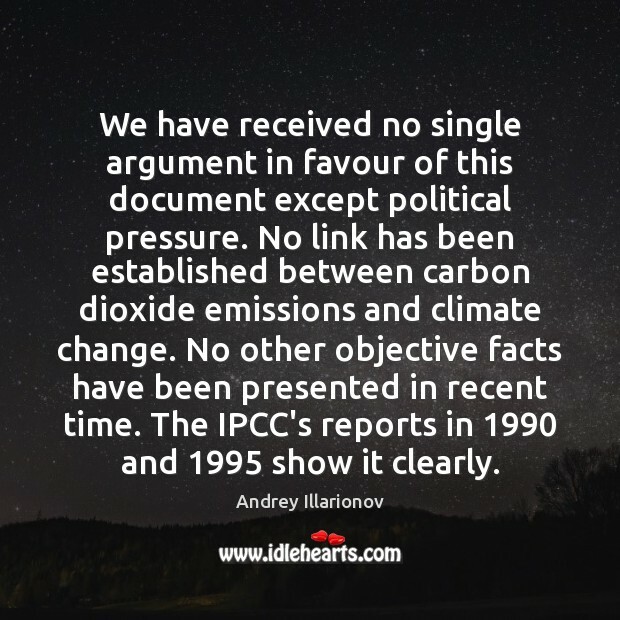 We had doubts about the Kyoto Protocol, we wanted reasoning from our partners in the European Union, in the IPCC. Formal requests had been sent to these organizations. But we have not received responses yet, which suggests that no coherent answers can be offered. What we hear is 'it is not comprehensive responses that matter, we will not give them anyway; what is important is whether you believe us or not'. 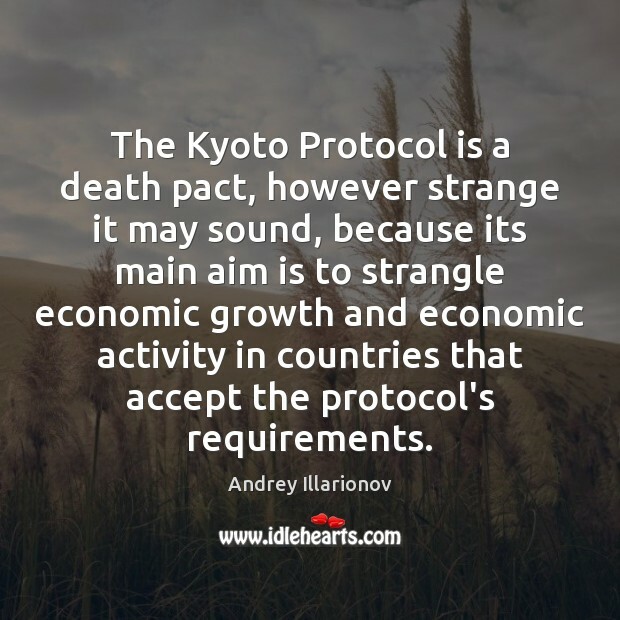 The Kyoto Protocol is a death pact, however strange it may sound, because its main aim is to strangle economic growth and economic activity in countries that accept the protocol's requirements. 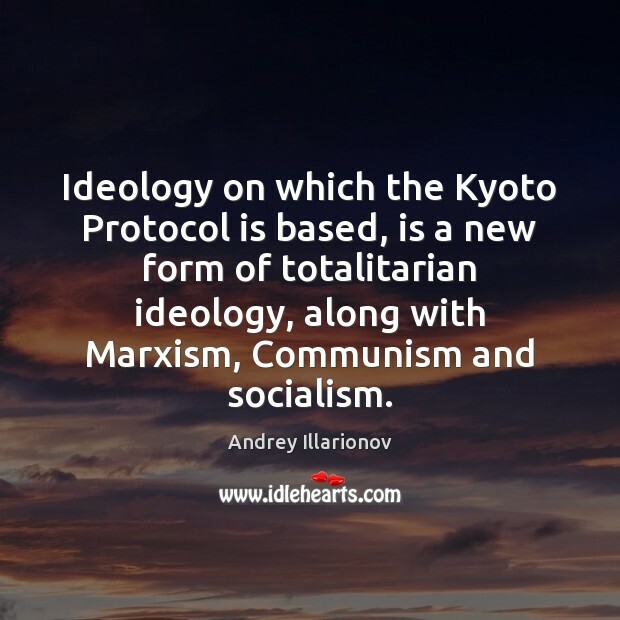 Ideology on which the Kyoto Protocol is based, is a new form of totalitarian ideology, along with Marxism, Communism and socialism. 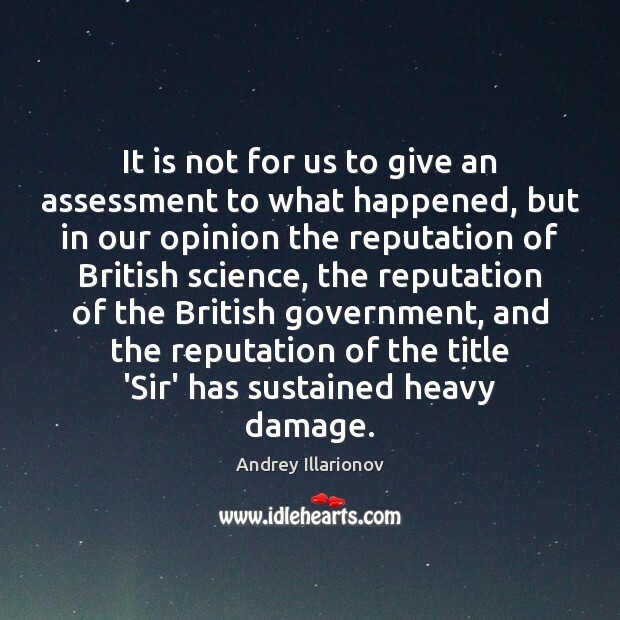 It is not for us to give an assessment to what happened, but in our opinion the reputation of British science, the reputation of the British government, and the reputation of the title 'Sir' has sustained heavy damage. 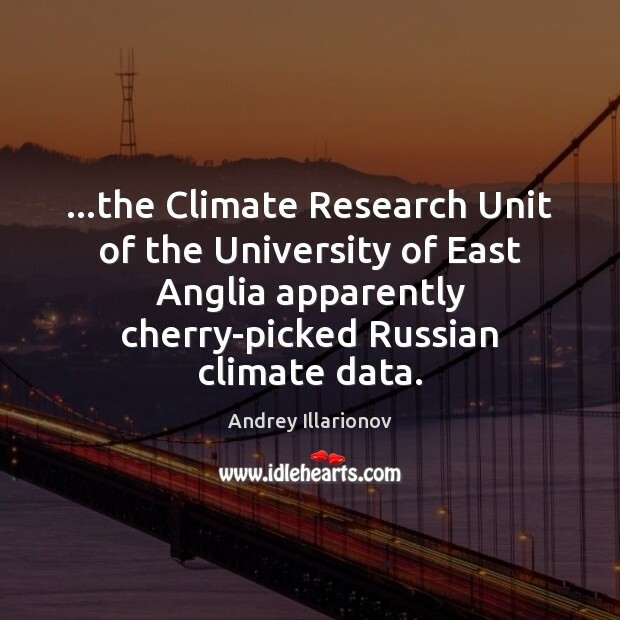 ...the Climate Research Unit of the University of East Anglia apparently cherry-picked Russian climate data. The majority of humankind does not accept this system, despite claims of worldwide support. 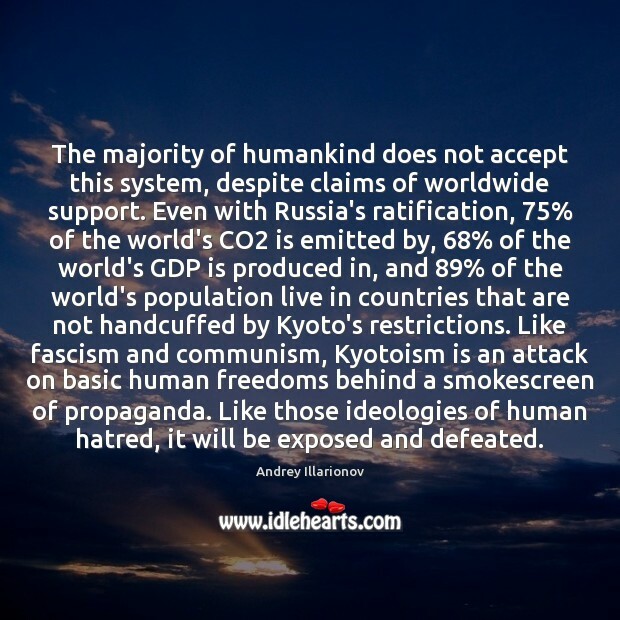 Even with Russia's ratification, 75% of the world's CO2 is emitted by, 68% of the world's GDP is produced in, and 89% of the world's population live in countries that are not handcuffed by Kyoto's restrictions. Like fascism and communism, Kyotoism is an attack on basic human freedoms behind a smokescreen of propaganda. Like those ideologies of human hatred, it will be exposed and defeated.